Welcome to www.Steinauer.US. 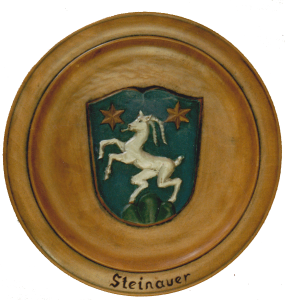 This site contains information about the US branch of the Steinauer family as obtained from the Steinauer Family Tree produced by Sue Miles and others. In addition We’ve added a number of other interesting pieces of information that we’ve collected, information on other branches of my personal family tree, and home Pages for any family members who have requested them. Links to all information are above. We sincerely hope you all find this interesting and useful. I welcome any and all feedback. You can either mail me directly or add the information to the guest book.